John is an IANTD Trimix & Nitrox Instructor on both OC and CCR, he also holds a HSE Commercial Diving Ticket and a DTI Approved Skippers Ticket. 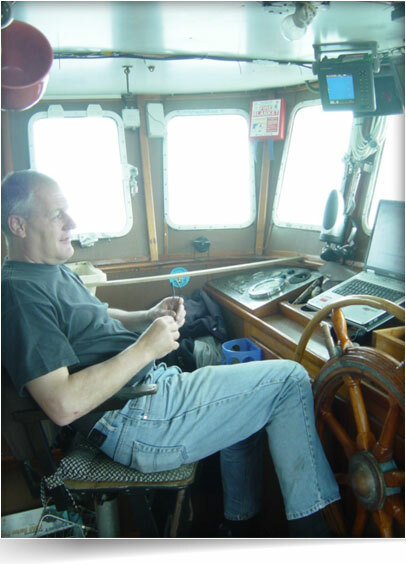 With over twenty five years’ experience both skippering and diving, John is one of the most experienced and highly qualified skippers working in Scapa Flow. He was one of the first skippers to offer dive charters in the area and has progressively moved on to larger, better equipped boats. John took part in Project Britannic in Greece in November 1997 and has lead several expeditions since, including HMS Repulse and Prince of Wales and recently to the Java Sea to dive the lost cruisers of the battle of the Java Sea of 1942. Take advantage of John’s experience and book your place on one of our dive charters. Contact us today.